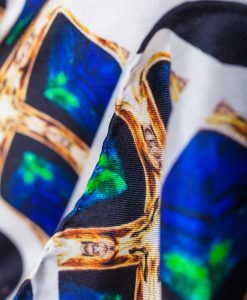 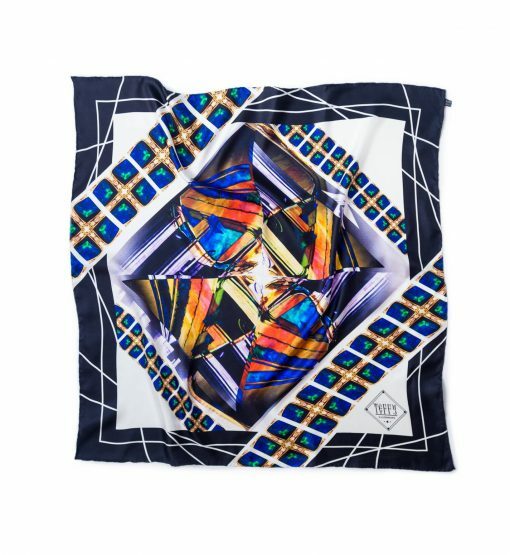 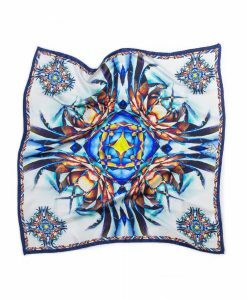 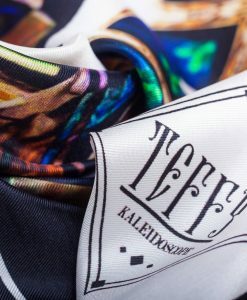 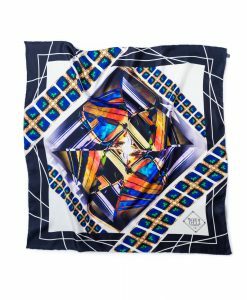 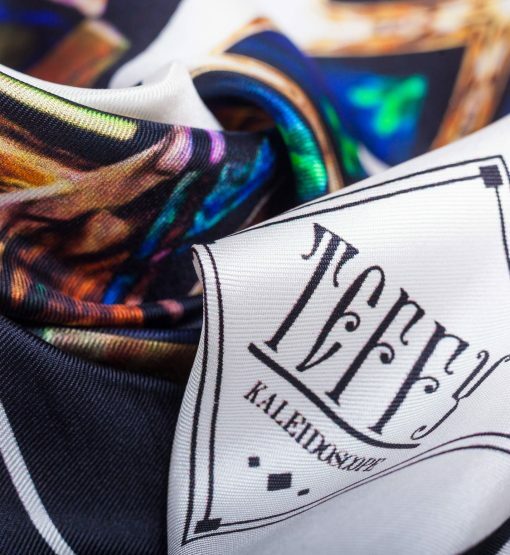 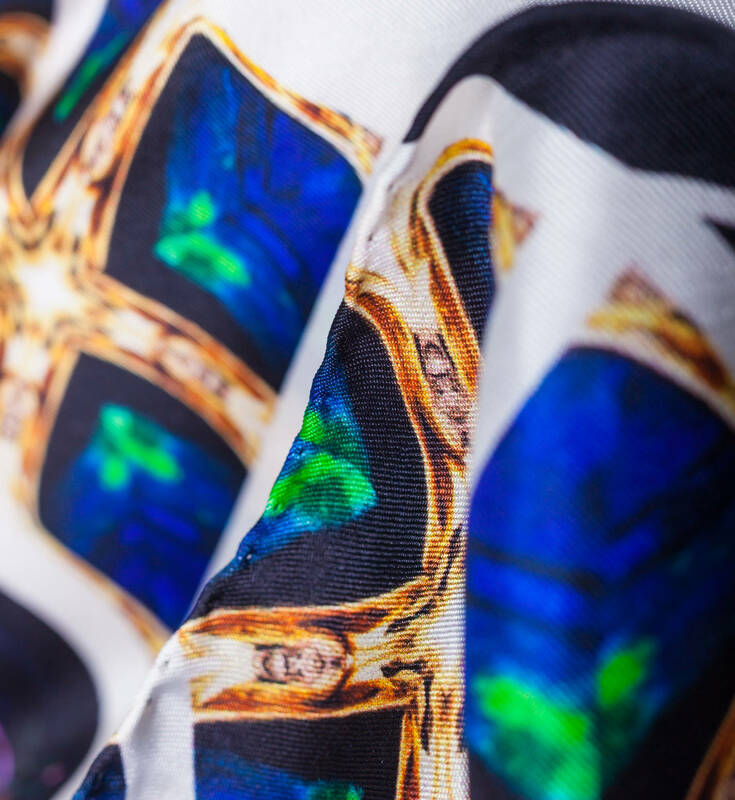 Teffy’s silk-will scarf is made in Italy and printed with colorful jewels print and framed in a black trip. 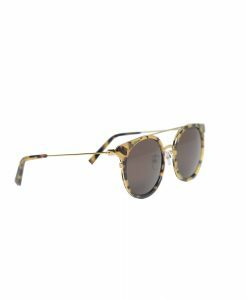 This accessory is an effortless way to add a chic feel to everyday looks. 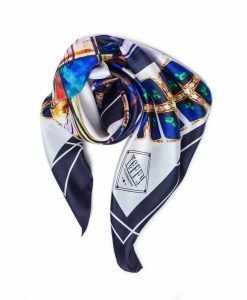 Wear yours knotted at the neck or around your favorite bag.